RANK function can be used when you want to rank a number against a list of numbers. It returns a number that represents the relative rank of the number against the list of numbers. number – the number that you want to rank. ref – the list of numbers against which you want to rank the number argument. It could be a range of cells or an array. 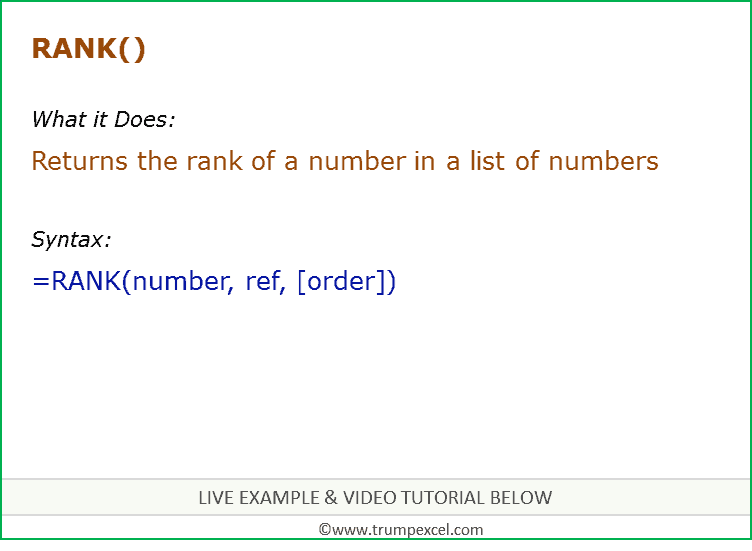 0 or omitted – Highest number gets 1st rank. 1 – Lowest numbers gets 1st rank. Duplicate values get the same rank. If there are 2 numbers with the 2nd rank, the next number gets a rank of 4. Similarly if 2 numbers have the 2nd rank, the next number gets a rank of 4. Microsoft team has introduced a new function RANK.EQ. It works exactly the same way as RANK function. MS team encourages to use this new function for improved accuracy. RANK function has been retained for backward compatibility. How to Rank within Groups in Excel. 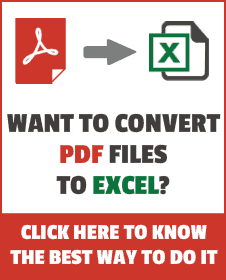 How to Generate Random Numbers in Excel.